First from Ginger - thanks Darling! Jane - who can turn anything into a work of art. I am in awe. Val - a lovely but slightly mad woman who adores Christmas. Karen - Who must also get the award for most prolific scrapper! 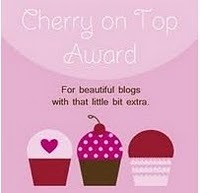 The Second was from Karen A lovely lady with a fab blog. Thanks Karen, I do miss Wyverstone! I have always been addicted to stationary/paper and blame my mum who used to clean in an office and sometimes bring me note pads home to draw on. I love and cry at all Romantic films - i always want a happy ending. I am an optimist and MUST find good in even the darkest situation - i have no choice. I was about 19 yrs old when this was taken (1979) Me and Mum. Debbie - I have no words to describe this amazing woman - just go see ! Ginger - has one of the best jobs i can think of and such a busy life as well as being so talented. Right the next Chicken soup challenge is up and my holiday is slipping away , so time to scrap! Oh that made me smile. Thank you so much honey!